It’s all about clean air. And it matters in every work environment. 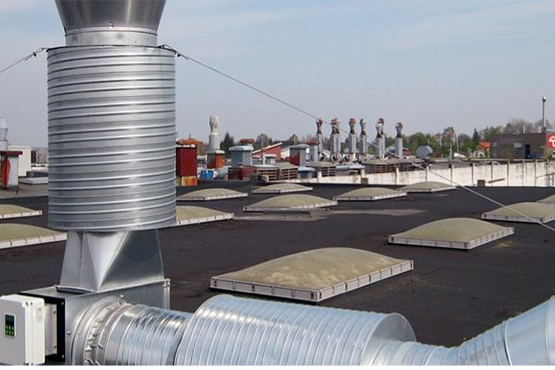 Geovent is experts in industrial ventilation systems and components. With a long history and a very high customer focus, they go all in to win new markets. Internationalization is the primary focus for entering Next Step Challenge – to expand from the present 22 countries in the portfolio to entering even more global markets. A constant development of both the business and the products are key areas in keeping up with the market, for Geovent. Flexibility, customizations and very short lead times, makes Geovent one of its kind and that is exactly what supports the high growth in the company. With the right ventilation system there can be up to 80% savings on energy consumptions – for the benefit of both economy and environment. That is what the customers want. However, even the most experienced businesses can benefit from having an extra set of eyes on their strategy and being challenged on their business models, in order to reach the full potentials. With efficient sparring from their experienced advisory board in Next Step Challenge, Geovent now has the courage to reach even further. “It is very valuable for us to have an extra ‘thinking partner’, as we have found in the program. Sometimes it can be very difficult to make ideas and strategies come to live, internally in the business. If we want to grow and dominate new markets, then we need the challenges we are forced to face in the Next Step Challenge program,” explains Benjamin Bergner, International Sales Manager in Geovent. Geovent is an experienced company, celebrating almost 50 years of passion for ventilation and comfort ventilation. And with the doors wide open to development and further success, no one wants to stop here. ”With our massive experience, we know when to reach out for support and we know that we have to work hard to take our ambitions even further. There is no doubt, that the roadmap we develop in the Next Step Challenge program, will make us reach new markets,” ends Mr. Bergner.